Information Technology and Cyber Security professional with over 18 years of experience in planning, configuring, deploying and managing information and cybersecurity solutions from different vendors. In the last years was a key player in designing Anti-DDoS solutions for all Brazilian Carriers, Large Financial Institutions and Enterprises. Working for Fortinet for the last two years as one of the key sales engineers in Brazil involved with pre sales activities on all Brazilian carriers, actively promoting Fortinet solutions from the SOC to the Mobile Backhaul. 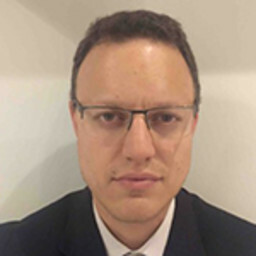 As a Security Strategist for LATAM has done research on the threat landscape for Brazil and produced regional quarterly threat reports that had nationwide reach and recognition, being cited on major security and information technology websites as well as traditional media. Does research and writes about rising threats that target business worldwide, providing insight for corporations around the globe on how to detect and respond to these threats.